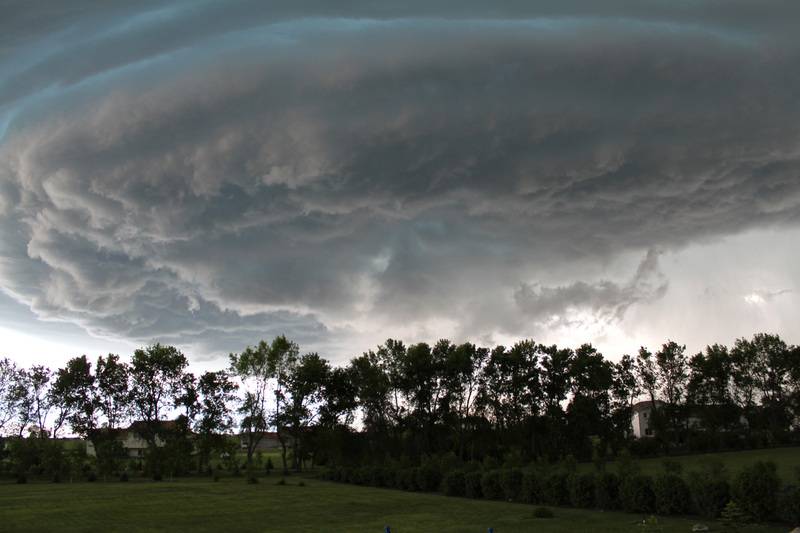 Living in North Dakota, I am not a stranger to scary storms, especially in June. Last night as the sky darkened we saw this cloud coming right toward our home. It really looked like a spaceship. It was rotating. 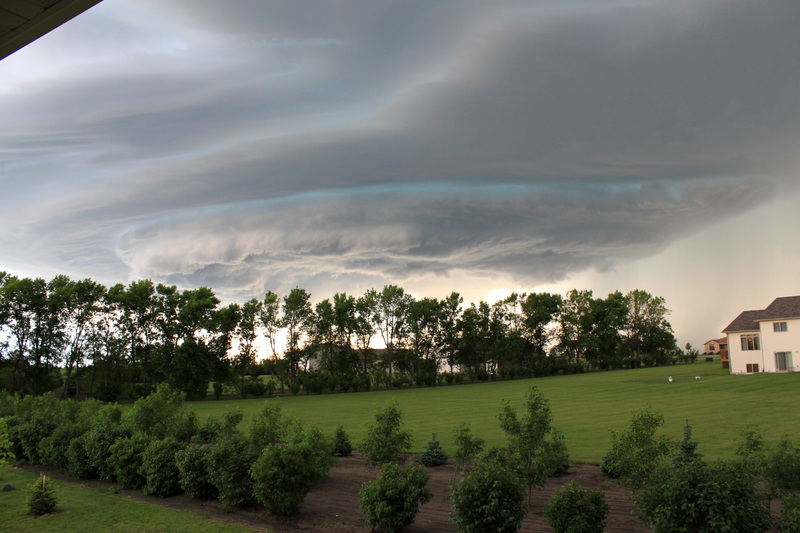 Rotating clouds can mean tornadoes, so we watched, fascinated by nature’s beauty, but ready to run into the basement. As it came closer, it looked like this. Thank, God, no tornado. However we did get a downpour of almost a half-inch in less than 10 minutes. There was also pea-sized hail and strong winds. We realize that it could have been so much worse. We aren’t done with these storms. This weather is forecasted to hold this pattern for several weeks. Hopefully the weather is better where you live. That’s a great pic. You should submit it for photo of the week/month @ photographyblog.com. I’ve subscribed to their newsletter for a few years now. Even won one of there giveaways a long time ago. Mark Goldstein is very informative. I will check out photographyblog.com. Sounds interesting.